Hi! I've had a few folks ask me for this super tasty Olive Garden knock-off recipe that I made the other night, so I thought... blog time! I had a teeny-weeny momcation probably a month ago. I online ordered a dinner for myself from Olive Garden which was pretty local to the hotel I was staying at. 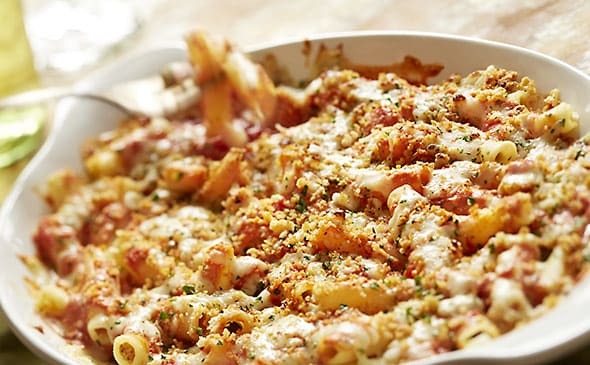 I picked out their Five Cheese Ziti Al Forno and it was sooooooooper tasty. Oh my gosh, it was so good! I knew that I just had to figure out how to make it myself. It's actually something I love doing. I mean, I really like to cook, but I also love figuring out how to make my favorite dishes myself in my own kitchen! That's where the Googling began! I came across a blog called 'Dinner Then Dessert' where the author walks you through a copycat version of Olive Garden's tasty dish. I did do a few things differently though! Mostly because I can't ever find all of the ingredients I need at my local stores. I don't care though because my version was bangin'! Unfortunately, ziti was not an accessible ingredient to me. So I decided to go with rigatoni. 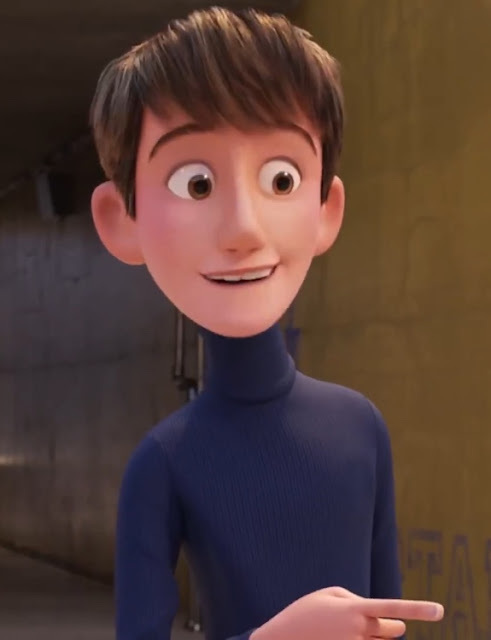 It was pretty entertaining explaining that to my daughter who thought I was talking about a character from The Incredibles. Either way, any like pasta will work for this dish. I really wish I had taken photos while I was cooking. Or at least of the final product. It looked so damn good. Something to know about this dish is that it involves two different sauces. You'll need an alfredo sauce and a marinara sauce. I've bought jarred alfredo sauces before and they've always been pretty terrible. 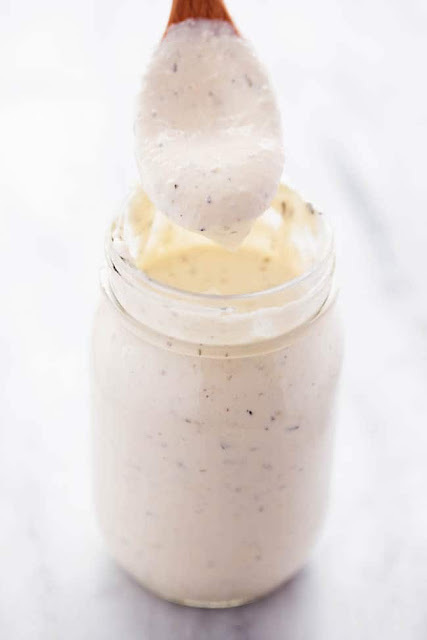 The author at 'Dinner and Dessert' linked to an alfredo sauce she uses for the recipe and it's the one that I used as well. It comes from a website called 'The Recipe Critic'. 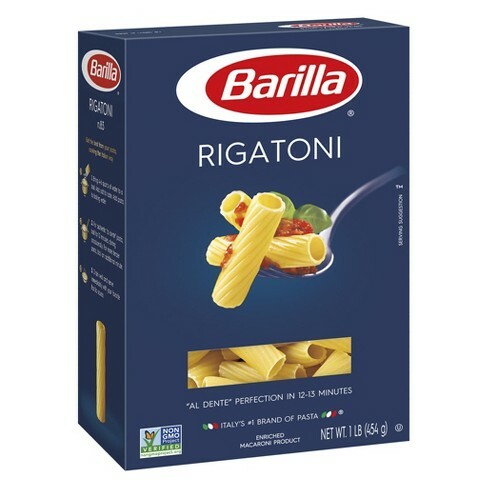 For the marinara sauce I would have normally bought Barilla, however, my local store was out of it. 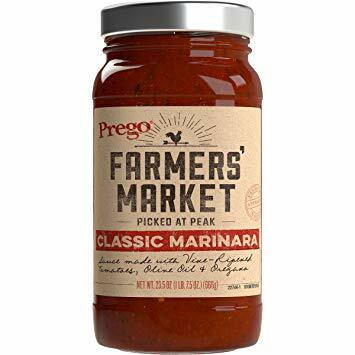 I ended up buying two jars of the Prego Farmers' Market Classic Marinara. In the future, I'd definitely like to try and make my own but the Prego option worked out quite well! Alright... so... the recipe! I'm not good at writing recipes so if you have questions, feel free to ask! 1) In a medium/large saucepan melt together the butter, heavy cream and cream cheese. 2) Add minced garlic, garlic powder, oregano, basil, ground thyme, salt & pepper. Whisk until smooth and then add the parmesan cheese. 2) Cook pasta two minutes under normal cook time and according to box directions. Drain. 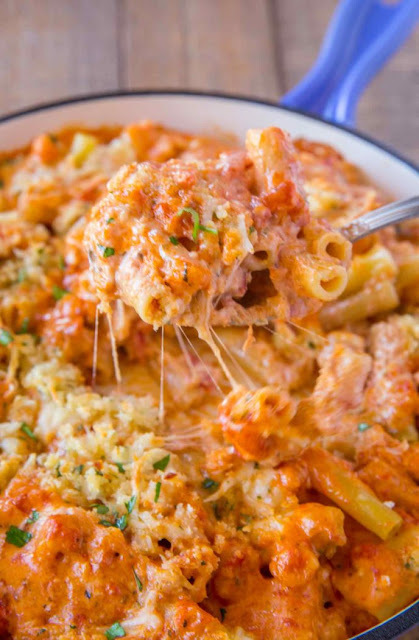 3) In the same saucepan as the pre-made alfredo sauce, add cooked noodles, two jars of marinara sauce, ricotta and 1/2 cup Italian Blend Shredded cheese. Mix well. 4) Add mixture to a large skillet or large baking dish (I used a 10"X 13" glass baking dish). 5) Mix topping ingredients together in separate bowl and add over the top of the pasta. 6) Bake 30-35 minutes uncovered until golden brown and bubbly. See? Super easy! And SUPER TASTY! I actually microwaved some of the leftovers for dinner tonight and it was still delicious! There you have it! If you have any questions, feel free to leave them! I hope you enjoy your friggin' delicious ziti (or rigatoni) as much as we did! !